When I was a teenager, God laid it upon my heart that I would be the father of 12 children and that it would come about through adoption. 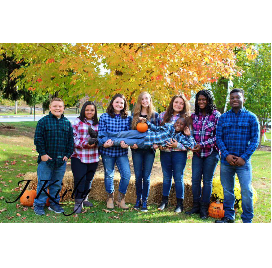 As of 12/18/2018, we have a total of 8 children (2 biological daughters, 2 adopted daughters, 3 adopted sons & 1 foster daughter). I know, for most people, the idea of having more than 1 or 2 children sounds crazy enough but 12 is totally insane! For us, it's very different, though. It's something I've known would happen long before I had even met my wife, Angel, and something we have found to be extremely rewarding. Anyone who knows our family can tell you, our family is one of great love and affection and, all-in-all, our kids are some of the most well behaved and well mannered children you'd ever meet. We are so proud of each of them and can't wait for the day when we've reached our ultimate goal of 12! In order for this to happen, however, we need some Room to Grow! That's the reason for our campaign. In order to adopt the remaining children, we will need to finish our garage, creating enough room for our next children. To do that, we need just over $20,000! Every child deserves a loving family to call their own. That is the ultimate goal of this campaign. Please, help us bring more children out of foster care and into our family. Most children over the age of 5 years old tend to linger in the foster care system for years, often times separated from their siblings. Far to often, many of these children will age out of foster care, never finding the loving forever family they so desparately wanted and needed. On any given day, there are over 420,000 in foster care. Of those, over 120,000 are legal orphans in need of loving & stable families! Even worse is that, more than 22,000 children age out of the system every year! I especially want to reach out to our fellow members in the Body of Christ. It is estimated that there are more than 250,000,000 Christians & 350,000 churches in the USA. That works out to 2,500 Christians & 3.5 churches for every 1 legal orphan in our nation! We can do more! We must do more! It's not just a numbers thing but a directive given by Jesus Christ himself! I know not everyone is cut-out to foster &/or adopt but, I think supporting those that can, will &/or have fostered & adopted is something everyone can do. Even if you can't give money, your emotional & prayer support mean more than you know - to us & other foster & adoptive families. Together, we can make a difference in the lives of our nation's children by providing them the love & tools necessary to succeed! And, if you have any questions about fostering &/or adopting from the U.S. Foster Care System, please, feel free to reach out to me. I would love to help you on your journey! Our 2-day total from our Adoption Fundraiser Yard Sale was $740 ($565 Friday & $175 Saturday). We sold most of the big stuff and a lot of the rest (most of which we are saving for a second yard sale weekend TBD but most likely for sometime in May). We are so tremendously blessed to have so many family, friends and even total strangers supporting our dream! There are no words adequate enough to express our gratitude. We only have $860 to go to achieve our garage campaign goal! Thank you all & God bless! I hope is ! Love y'all and what you are doing r kids! Children are a gift from the Lord; they are a reward from him. May God always bless you and your family. I am so proud of how you fight to serve the Lord and to fulfill the gifts and promises he has for you. Kevin you are one of my oldest friends you are a great Godly man and I honored to be your friend! I know you all will get there! I believe strongly in what you do Kevin! Keep up the good work! God Bless Y'all! And I will continue prayers!! Praying that this helps in your mission to provide for children! You are angels on earth!! Angel was certainly named appropriately!! I hope the siblings reunite soon!! Many hugs!! God bless you and the work you are doing! If we were younger then we would do some adopting to help all the children that are in foster care. Wish that /i could do more but maybe more in a week. Love you guys. Praying for the Lords provision! Blessed by your family and your willingness to be used. We've receive 3 offline donations over the past several days, totaling $190! This was the amount raised through contributions made on our Facebook fundraiser page. I'm placing it here so everyone can see the accurate total amount raised! Please give to this cause. I love this family so much! Any amount will help. I plan to give more as God allows. Good luck on reaching your goal. Praying god gives you what you need to make this happen! This is an AMAZING, LOVING, WONDERFUL, GOD LOVING family. The love they have for God and the love they have for children is unexplainable. Please help them reach their goal of giving another child or children a place to call home with the love of a family they deserve. I consider myself one of the Blessed people to know this family. Thank you God for this family and may you provide. The Gross Family go to our church and I couldn't think of a family more deserving of having their dream come true than them. Last week, I stumbled across the 5 siblings from Utah we were planning to adopt on adoptuskids & saw them being recruited separately. I immediately contacted the recruiter that I had spoken to previously & she was unaware of the separate recruitment effort. I explained that we were about a month shy of being ready & she said she would call their worker to give her our update. After talking to their worker, she contacted me to say they had already been split up into 3 separate homes ( 2 into an adoptive home, 2 into another adoptive home & 1 remaining in a foster home ). We were devasted! Less than an hour after finding out they were separated, our local Department of Social Services (DSS). Several of the social workers from our DSS had just returned from a conference for social workers across the State of Maryland. Towards the end of the conference, a social worker from Baltimore County asked if anyone had a family that would be willing to adopt 4 siblings and our department was the only one with such a family - us! 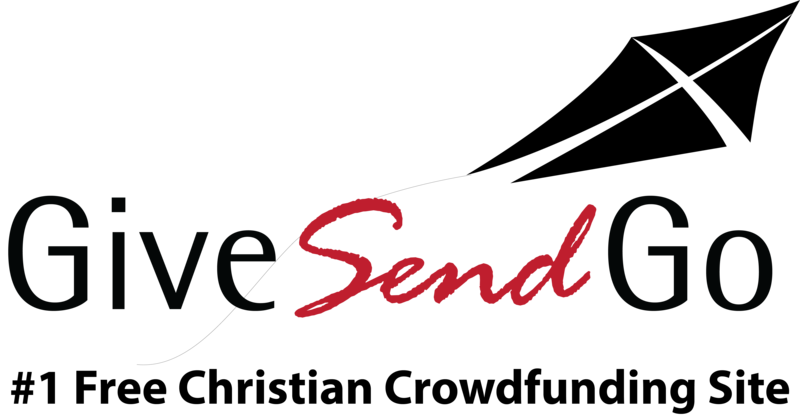 Still reeling over the loss & separation of the 5 siblings from Utah, the thought of these 4 siblings experiencing the same fate was too much to handle, so I revived our GiveSendGo.com/RoomToGrow12 campaign. Over the course of the first 5 days, we raised $800! Itwas amazing! Then things seemed to go silent. People were still sharing our campaign but no funds were coming in. I had already decided to start a Hadley Farms Bakery Fundraiser, selling Cinnamon Rolls & Carrot Cakes for $ 4 each, so I got the information and started promoting it on Facebook. Immediately, numerous people started contacting us to place orders & offering to help collect orders! A little while later, I went to Walmart to get some groceries & other items for our family. While standing in the Kool-Aid isle, I received a notification on my cellphone that we had received another donation but no amount was shown. When I went to our GiveSendGo Campaign I just about passed out! We had just received an anonymous donation for $2,985 - the exact amount we still needed! I was shocked & started laughing and crying at the same time, right in the middle of Walmart! I am sure I was a sight to behold but I just could not contain myself! Then, yesterday morning, we received our Federal Tax Return but it was for less than half of what we were expecting! Confused & concerned, I went to the IRS Website to figure out what the problem was. There I learned that I would be receiving a letter in the mail in the next 30 days explaining why it was reduced & how to appeal & that they would not speak to us until after we had received the letter! We can't wait 30 days! And we definitely can't wait several months! The siblings from Baltimore County could be separated by then! Plus, we may never get the money we were expecting, even after appealing it. We are obviously a bit frustrated with this news but we have faith that everything will work out. And, eventhough we are short $3,000 (the amount needed to complete the flooring), we do have enough to at least start the project & complete most of it. I have also increased our campaign goal to reflect the $3,000 we were shorted in our tax return. Thank you for all your love, prayers, shares & support! Together we will get there! I am pleading with everyone to, please, help us get our home ready for 5 more children! We should be receiving the largest tax return we have ever received, which will enable us to do all the necessary construction in our garage to make room for our next 5 but we still lack the funds for the flooring. To do that, we still need about $4,000! I hate asking for help but, in order to get 5 (of the more than 100,000 legal orphans in our nation) we need the entire project finished. We had been contacted back in December about a sibling group of 5 that would have brought our total to 12. We were extremely strong candidates, as there were no other families willing and able to take all 5. We let them know our plans to finish our garage but, since it still isn't even started, they decided to split them up into at least 3 separate adoptive homes! I am sick at this news! I know God is in control & I know we will eventually get 5 more but knowing how close we were to keeping these 5 together (yet not succeeding) is heartbreaking! Please, pray for them that they are able to have some sort of contact. They deserve to grow up knowing each other. Just so everyone knows, this is not about us, nor has it ever been. I know God's plan is for us to have 12 children. And I have absolutely no doubts that it will eventually occur. Our primary concerns are who they will be, when they will get here & being ready whenever the opportunity arises. I just don't want to be this close again, only for it all to fall apart, again, because our home wasn't ready! I have over 1,000 friends on Facebook. If each friend gave $4, we would exceed our need! Please, please, please, help us get there so that 5 more children will have love, stability & the ability to grow up together! And, please, share our campaign & encourage others to support it. Together, we can get there & 5 more children will no longer have to linger in the system. God has been so good to us! As you know, we have been trying to raise money to make room in our house to adopt 5 more children (giving us a total of 12). You may also know that we were contacted last month about adopting 5 siblings (3 boys & 2 girls), that are currently living in separate homes. I realize we still have quite a way to go to have enough money to fully finish the area we need to get them but I am so encouraged. We have never been this close to fulfilling our dream! Please, join us on this journey & help bring our next 5 children into our family! Any amount, great or small, would be greatly appreciated! Reaching our goal & completing the space in our home are the only things keeping us from getting our next 5 children & potentially reuniting siblings. Thank you for you time, shares, contributions & prayers! Together, we will get there! Last week, I was contacted about adopting 5 full-sibings (3 boys & 2 girls) of Native American & Pacific Islander heritage. I'm not sure what God's plan will ultimately be concerning them (or other children) joining our family but, I do know that, we can't pursue adoption of any more children until our garage is made into a livable space. We desperately want to fulfill God's calling to be parents of 12 children & having equal numbers of each gender would be wonderful! Adopting these children would do that. It would also mean they could all grow-up together & not in separate homes. Please, help us reach our financial goal so we can finish our garage & proceed with adopting our next 5 children. We are already about a tenth of the way there but that means we still have close to $9,000 still to raise. Every prayer, share of our fundraiser & donation (great or small) gets us closer to making that happen!